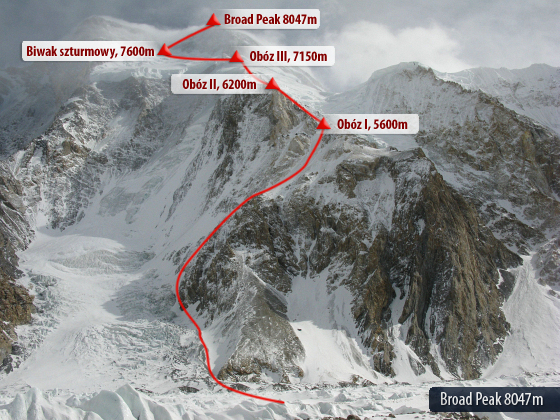 An avalanche was triggered today early morning from Broad Peak Camp 1; seven climbers were on the way to camp 1 and unfortunately came in the way of avalanche resulting in minor injuries. It was later reported that one Pakistani high altitude porter has gone missing and two lady climbers are seriously injured: one Japanese and one Chinese. I contacted few climbers in the base camp to find out about it, I was told that Pakistani HAP was hit really hard by the avalanche. 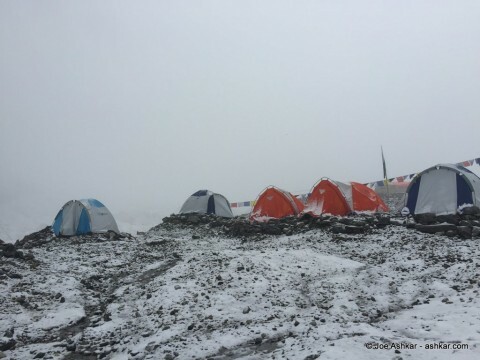 Sherpas launched rescue operation right away, but could not find him. Pakistani HAP is presumed dead by rescue team, he is probably under the debris and team is still trying to find him. Teams have completed acclimatization, so it is a waiting game for everyone now. Coming Thursday/Friday are forecasted as good summit push days, some teams choose to leave base camp today with intention of summit push. There was heavy snow fall last night, so most of the teams decided to let this window pass and wait for next one, fresh snow always brings avalanche danger when followed by hot weather and sometime winds.